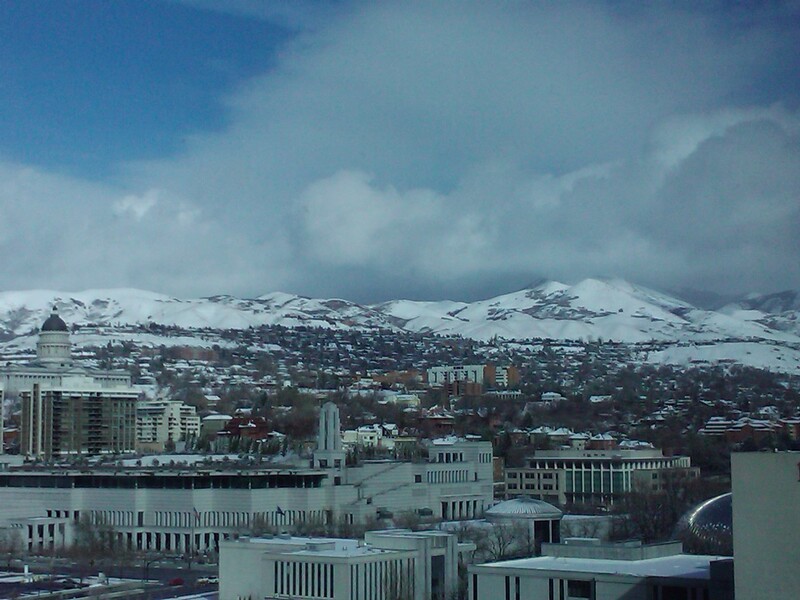 By Metal Allison I land in Salt Lake City and holy crap there are mountains here! Mountains! I get to the hotel and discover that I have a flipping Sleep Number bed in my room! I know what I am doing later. Will I be a 48 or a 92? I’m stoked. Focus! I have a convention to set up for. I head down to the convention center to set up. CJ and the entire staff that put on the convention did an amazing job. Everyone was super friendly and this was by far the most space I have ever had in a booth. I see a lot of great tattooers on the list including, Richard Stell, Tony Hundahl, Brad Mariachi, Grant Cobb, Charlie Roberts and Derek Noble to name a few. There was a lot of foot traffic on Friday so it was time for a, “Don’t-be-taking-all-my-stickers-sign!” For some reason there was a castle bounce at the convention and it looked pretty amazing. It just hit me that I have been up since 2 a.m. and it is now 8:30 p.m. that explains a lot. The night was almost through and I sadly declined a few dinner invites due to how exhausted I am. My only plans include watching Everybody Loves Raymond reruns and the Food Network on the flat screen, while figuring out my number on that sleep number bed. Turns out my sleep number is between 35 and 47. Just so ya know. I awoke Saturday shocked by two things. One, it was before 11 a.m. And two, I wasn't hung over. To top off my headache free, early morning Sixteen Candles was on! Score! I got my coffee and headed to the convention center.. Saturday usually means busy, busy! Busy it was. 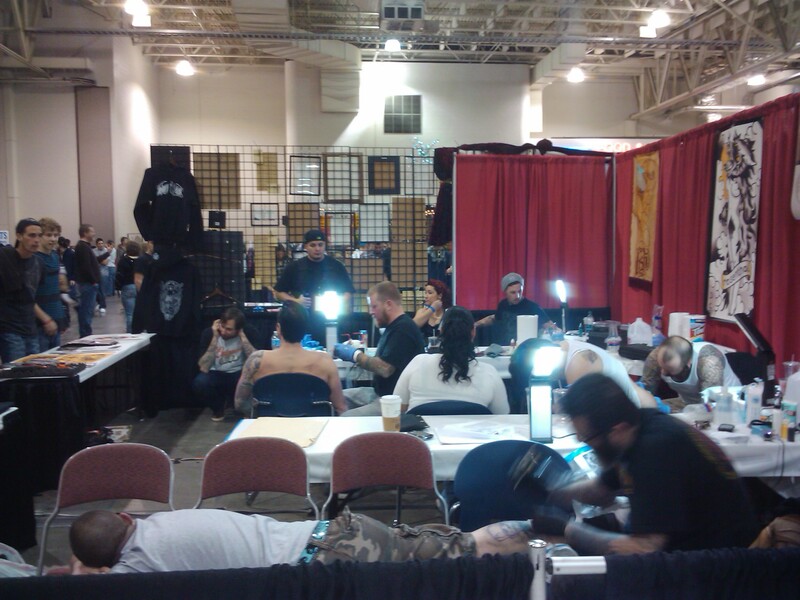 It seemed like most of, if not all booths had someone tattooing in them all day. At one point all four guys at the Th'ink Tank booth were tattooing at once. Most of my day was spent at the TAM booth meeting and talking to tattooers. I spent the rest of it fending off the sticker thieves and ogling over chubby babies. I was able to step away and take a few pictures of the Lee Hanna memorial space –such a sad and unfortunate loss. 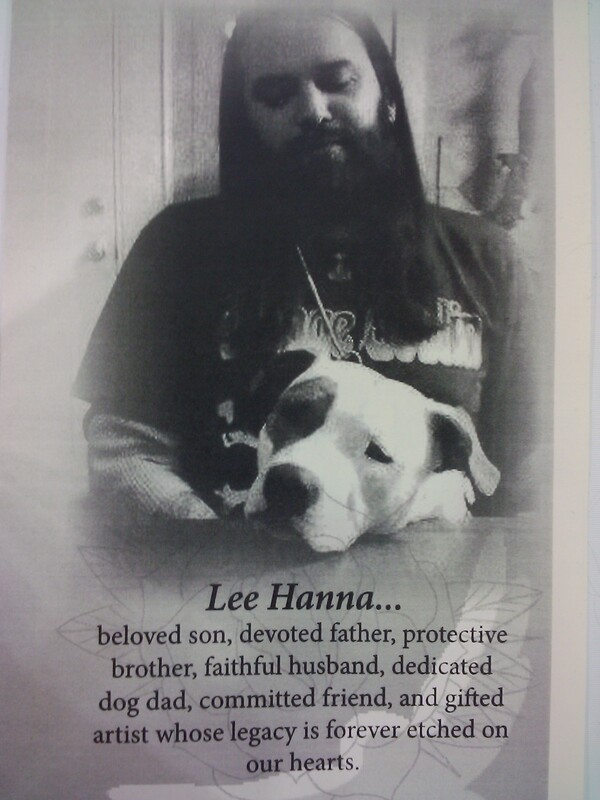 The booth was filled with a beautiful flower arrangement, pictures of Lee with his family and friends, a table with written messages of love and farewells –as well as paintings, drawings, skate decks and a hand painted sign reading "Lee Hanna Forever". Later that day I met Jo Jo Ackerman. He was really cool and he also pointed out that I am in fact wearing, “a metal t-shirt.” Earlier that day someone said, “You must be Metal Allison?” Both of these comments were in response to a Facebook post by TAM's Social Media Director, John. He will be here all week folks! Tip your bartender! Oh and for the record, I am “more metal than the Death Star!” Another great day and I'm off to more cable television and that awesome bed. Girl likes to party! Funny thing is I usually do and I'm really good at it! I just decided to take it easy lately. Everyone deserves a break. On Sunday I wanted to check out the art gallery as well as all merch everyone has. The day started out busy and stayed busy. I was able to step away for just a minute and take a quick walk around. I made it over to the gallery, which was full of amazing paintings. There were two Tim Lehi paintings that I wish I could have taken home with me, among other things. Before I ran back to the TAM booth I made it over to meet Wendy Belzel. She was so cool and so nice! Completely lived up to what everyone says about her. I also wanted to buy pretty much her entire booth! The day is finally done and it is time to pack it all up. Again this was one of the easiest break downs I have had a convention. The staffs at the convention and hotel were extremely accommodating –big thank-yous again to CJ and everyone who put on the convention. I did somehow manage to lose my phone charger while packing up. Anybody seen it? Ha-ha. Thanks Salt Lake City for an awesome weekend.